While most Rolex collectors know that Hans Wilsdorf registered a hodgepodge of trademarks, I hadn't seen a coherent list of brands that he actually used. Here's my attempt at a list of every brand of watch that was ever been made by Rolex/Rolex Watch Co. I am not counting co-brandings like this "Dunklings Rolex" as separate brands; see this thread for co-branded dials. Most of the dates listed here are estimates and many were gotten from Mikrolisk. For most of these brands I'm going off of very little info; if anyone has any corrections or additional knowledge I'd love to hear it! 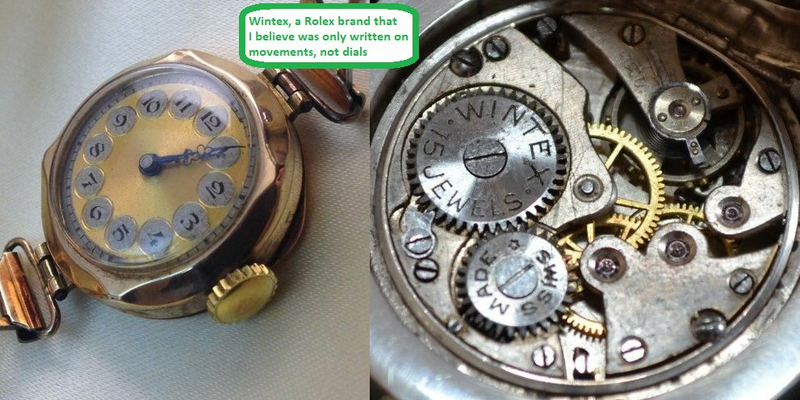 Always a flagship brand, Rolex almost always used Aegler movements. 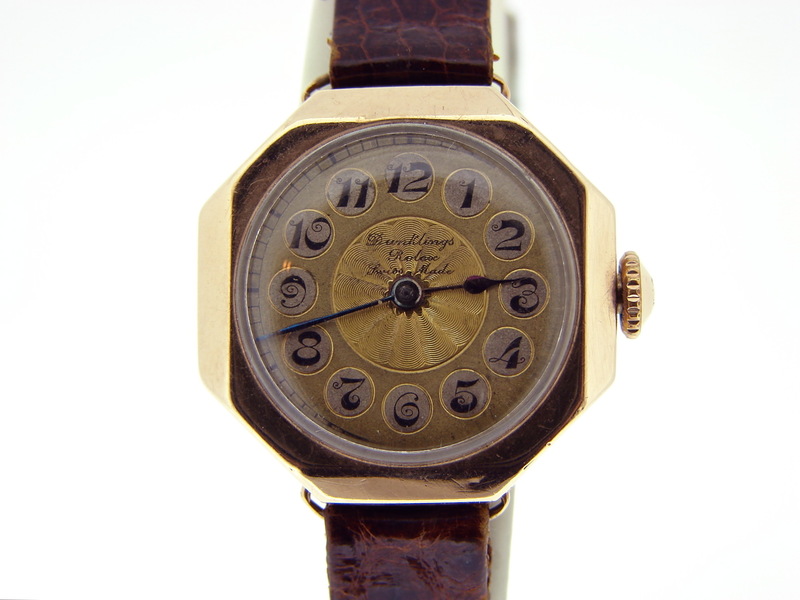 Aegler even registered at least one Rolex trademark on Wilsdorf's behalf, bailed out Rolex with a loan during the Depression, and has pretty much been indistinguishable from Rolex for 80 years, although Rolex didn't formally buy Aegler S.A. until 2004. 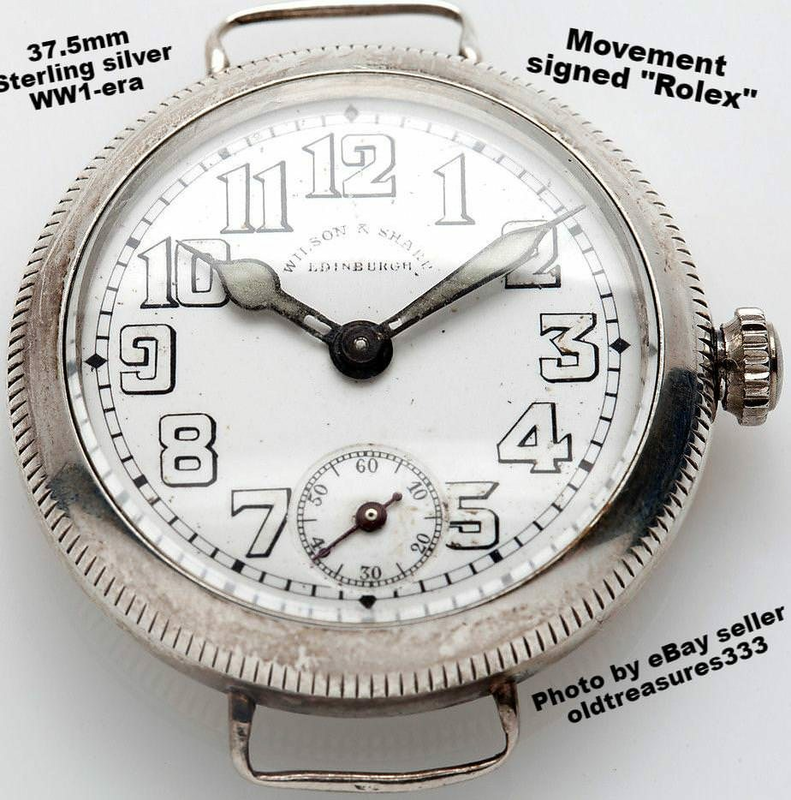 Unicorn is probably the most common early Rolex Watch Co. brand besides Rolex itself. I've seen it described as a replacement for the Marconi brand, but I don't agree with that. 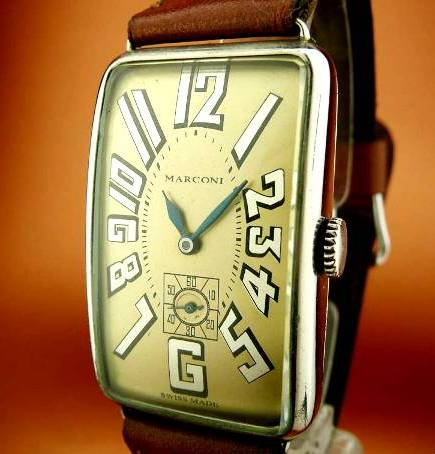 First of all, the brands overlapped for at least a few years, and as I mentioned I don’t believe Marconi was a downmarket brand. 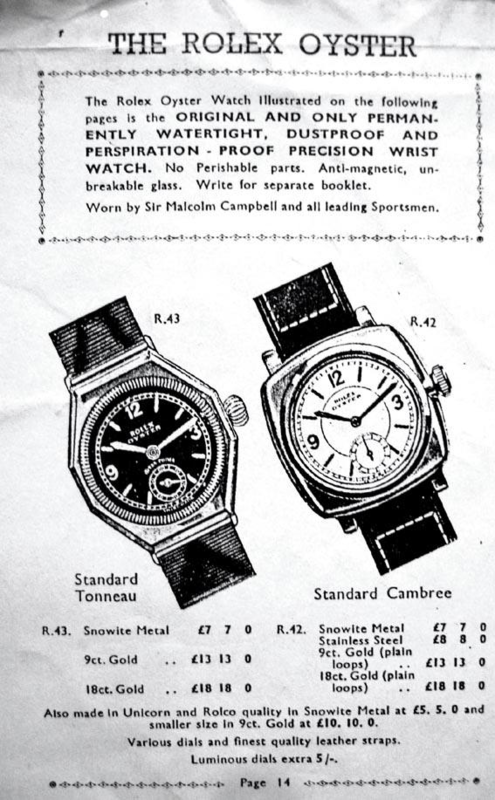 We do know that Unicorn and Rolco were always designed as cheaper options, however, as evidenced by this old ad stating that the Rolex Oyster was "also made in Unicorn and Rolco quality in Snowite metal at £5." 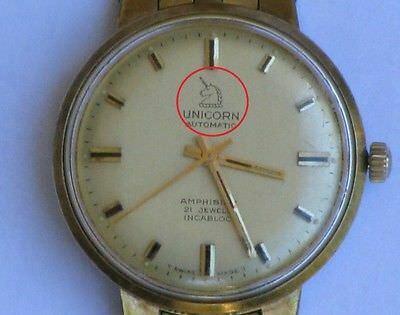 The Unicorn Watch brand must have had some value because watch company and movement maker A. Schild bought the brand from Rolex in 1933. 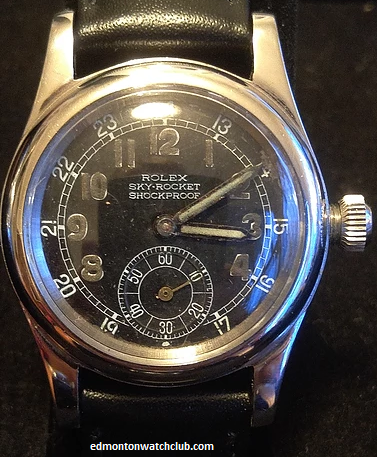 You will often see post-1933 Unicorns on eBay incorrectly linking them to a Rolex history, but anything with this logo has nothing to do with Rolex. That logo is an A. Schild trademark, not a Rolex trademark. 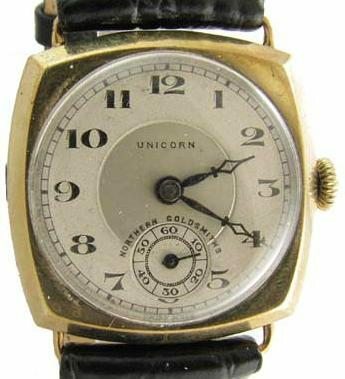 The brand name "Unicorn" was too generic to trademark on its own, which is why Wilsdorf had to register "Unicorn Lever" in 1919, and then "Unicorn Watch" in 1923. 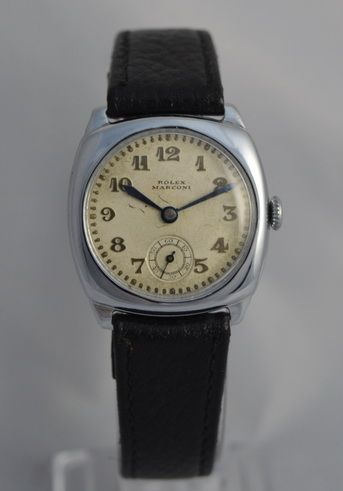 I have never seen a men's Rolwatco watch, so I suspect it was specifically a brand for ladies' watches. 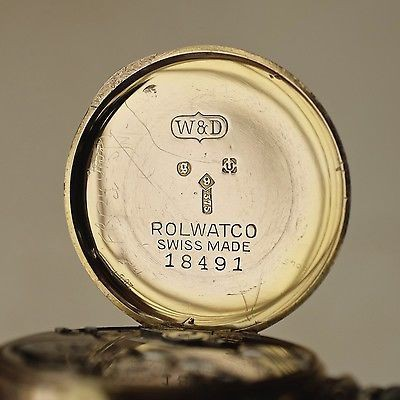 Wilsdorf & Davis used Rolwatco branding on some cases as well as movements of watches with sanitized (unbranded) dials. 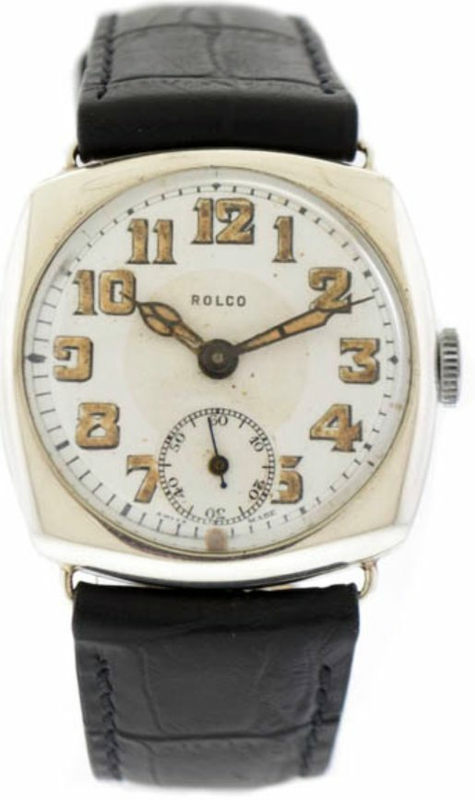 But, there are also a few watches with Rolwatco on the dial. Most of these, if not all, seem to have cases made of 9k gold. 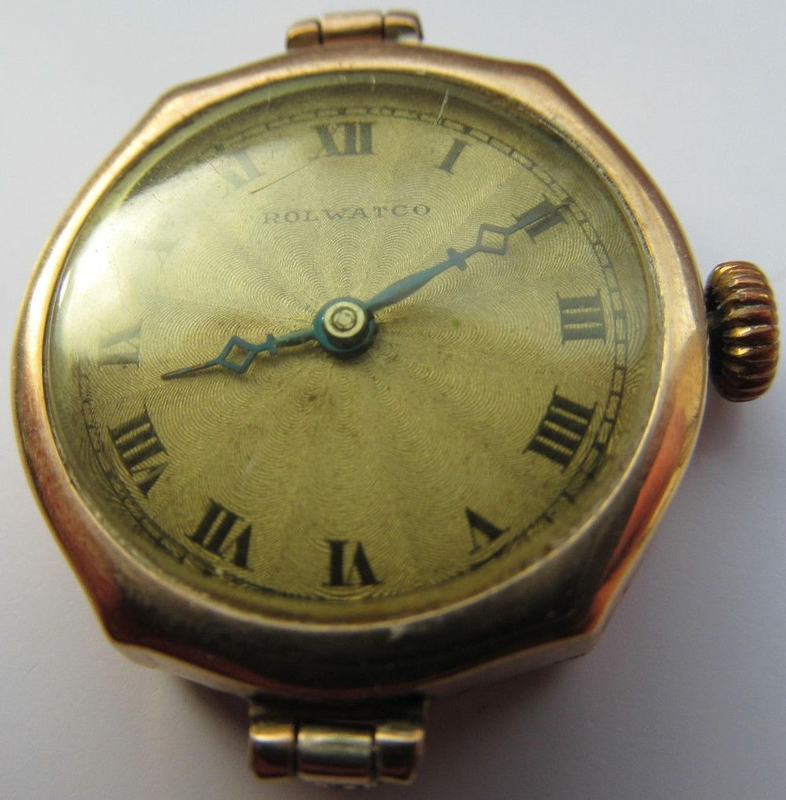 Note that Rolwatco was registered before Rolco; don't forget Wilsdorf started as a ladies' watch specialist! 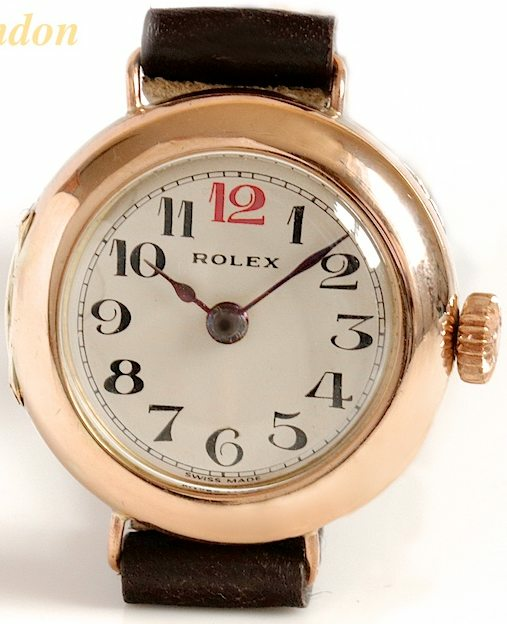 According to vintage-watches-collection.com, "as far forward as the late 1920s, the vast majority of the watches offered for sale in Rolex advertising of the time were intended for female use." 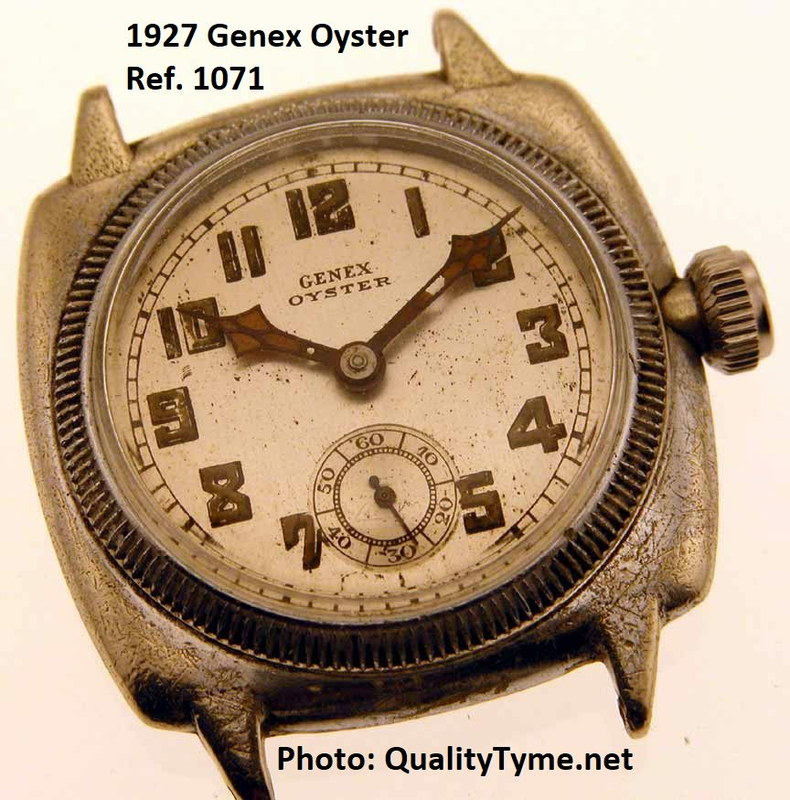 Genex was registered in 1920 but I'm not sure it was used until the first Oysters came out, like the one above. It didn't seem to last long. It is my opinion that the Genex brand was sold to A. Schild in 1933 along with Unicorn. 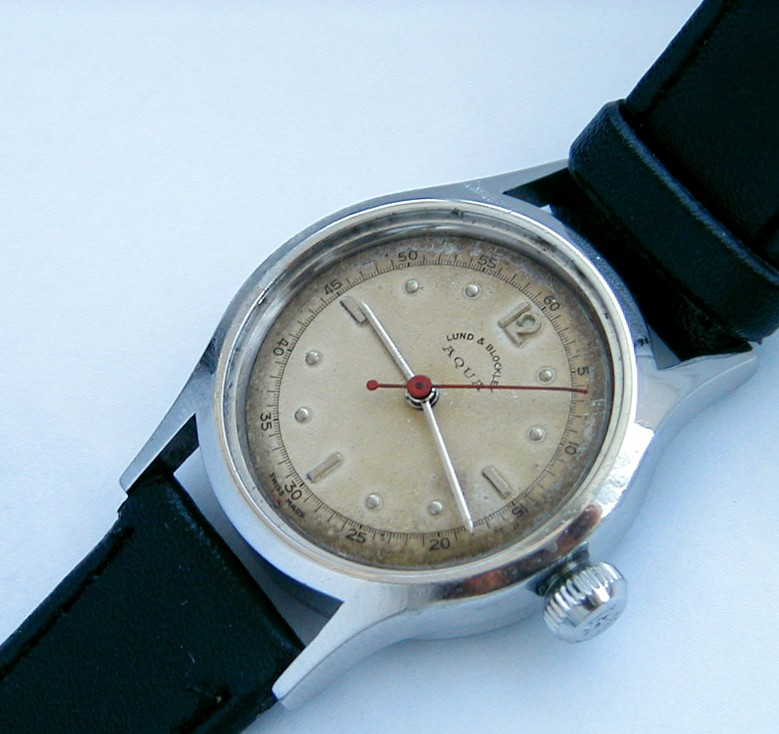 Genex watches exist from the 1950's that clearly look like A. Schild products. This is one of the toughest RWC brands to figure out. 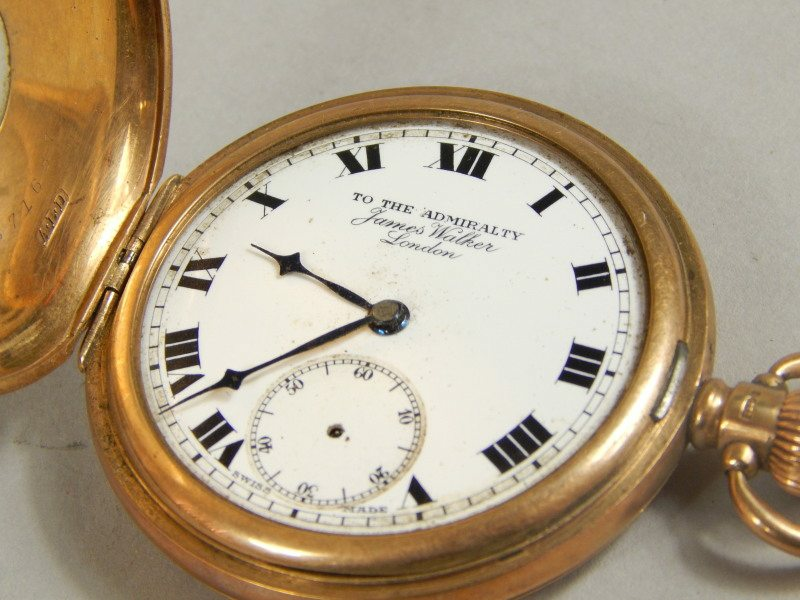 Several watchmakers have been writing "to the admiralty" and "for the admiralty" on watches since Dent made the Standard Astronomical Clock for the Admiralty 200 years ago. 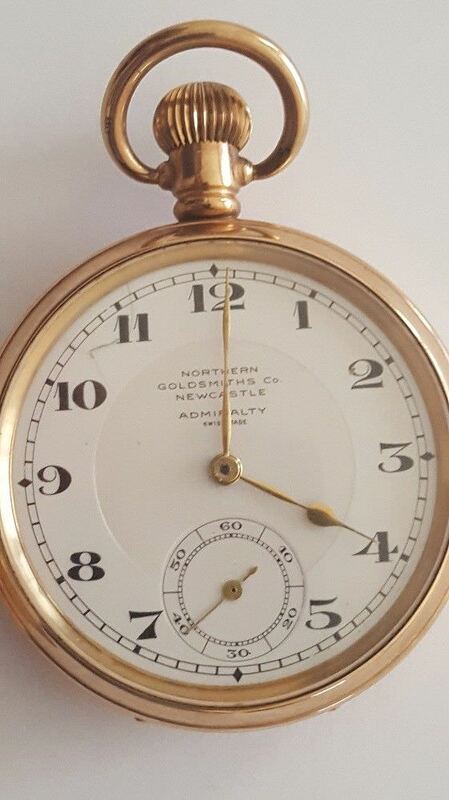 I've found many "Admiralty" or "To/For the Admiralty" pocket watches co-branded by Northern Goldsmiths or James Walker. 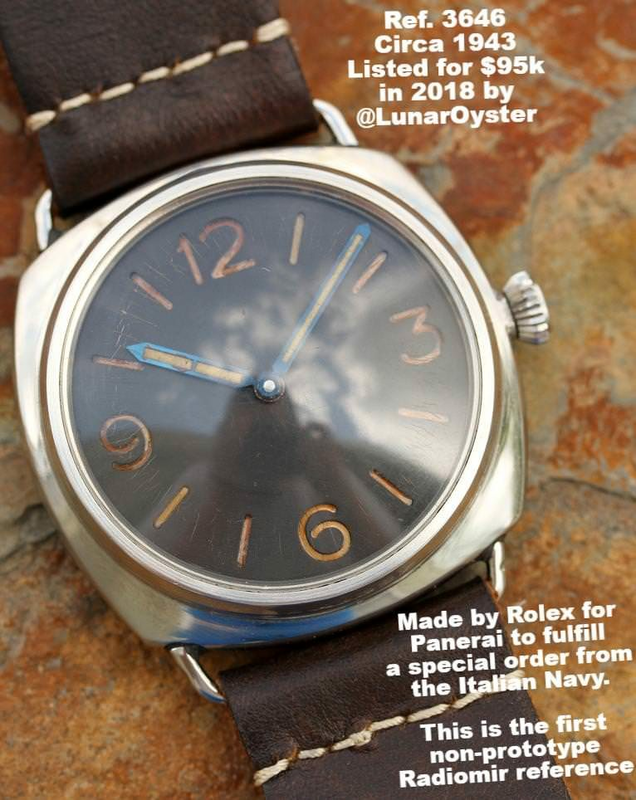 I believe most of the Admiralty watches out there have nothing to do with Rolex, but I'm 98% sure the one pictured above is an RWC product (based on the numeral font, its half-hunter movement, and the fact that James Walker was a Rolex retailer). 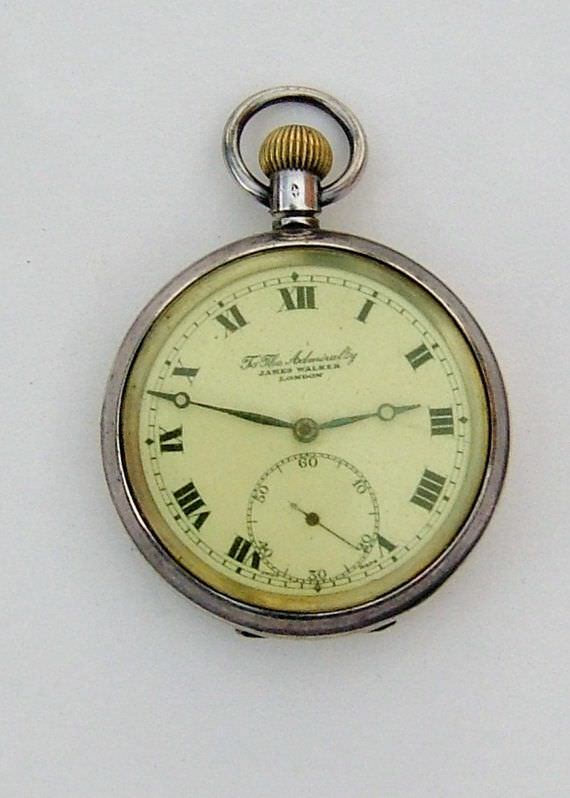 The "Admiralty" brand may have been used most often by Rolex on movements of watches with sanitized dials. Sometimes the movement says "Admiralty 2" for some reason. I wonder if Wilsdorf had trouble keeping "Admiralty" as a trademark because he wasn't the first/only one to use it, so he tried using "Admiralty 2" before giving up on it altogether? Just a hunch. Keep in mind Wilsdorf was the kinda guy who registered the trademark "Omigra" because it sounds like Omega (he never released watches under that name, though). 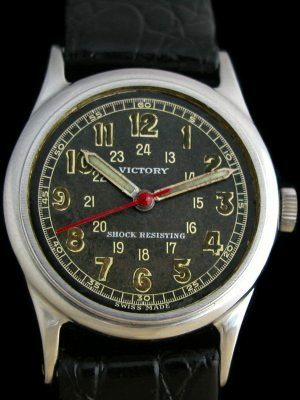 We know that by 1934 Rolex was using Viceroy as a model name. 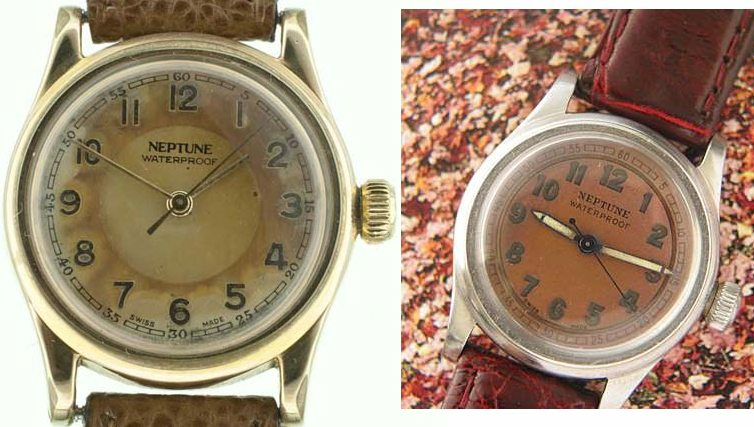 But before that, there were some trench-style watches like the one above, with RWC on the caseback and Viceroy as the brand. 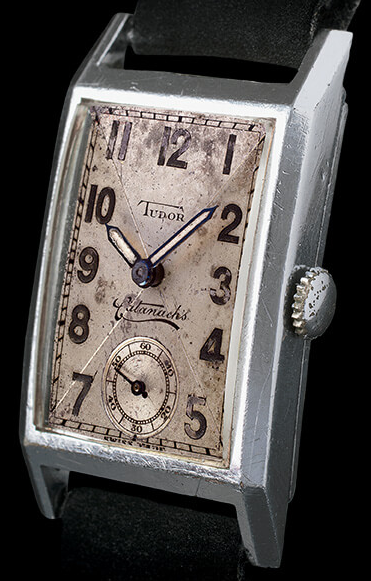 Not much is known about this brand, but it seems ol' Hans only used his name on watches with Oyster cases. 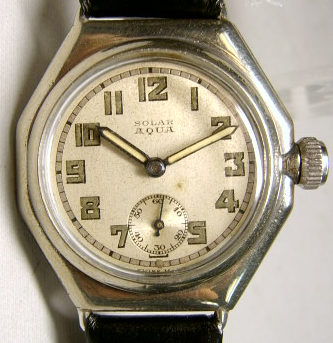 In 1922, "Aqua" was an alternative model name for Rolex's first attempt at a waterproof watch in 1922, the "Submarine." The Oyster case truly got it right in 1926. 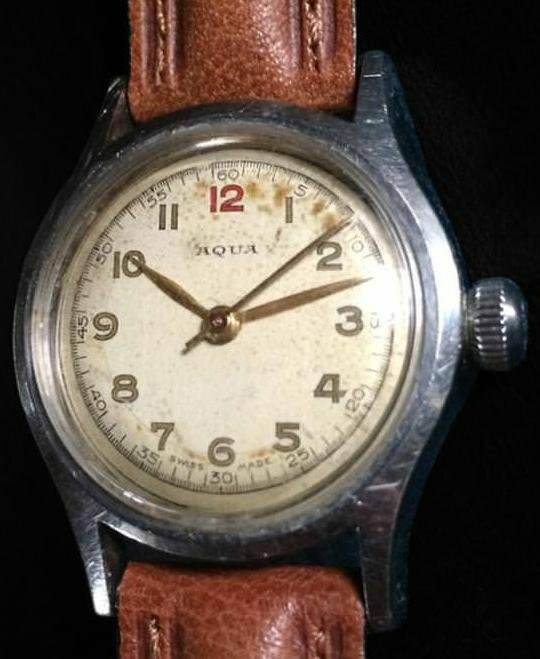 Shortly thereafter Rolex begin to use "Aqua" as a brand. 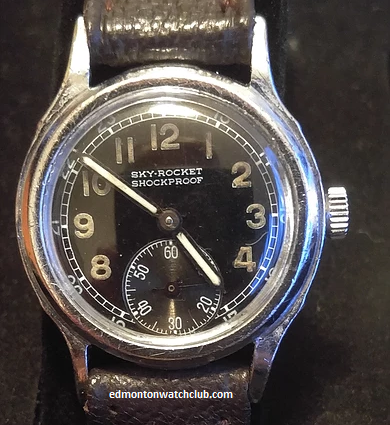 "Solar Aqua" watches made for Eaton's department stores in Canada are the most common, but there are also watches simply branded "Aqua" as well as some that say "Lund & Blockley Aqua." There are some rare "Aqua Patent" crowns equivalent to the old "Oyster Patent" crowns, too. According to Tudor's website, the first Tudor branding appeared in 1926, and Tudors began flowing into Australia in 1932. 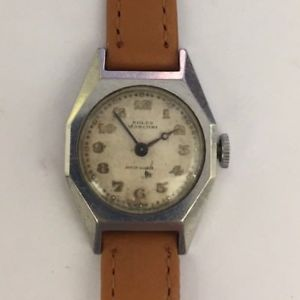 Tudor was firmly established as a proper international brand by 1946, at which point Rolex stopped messing around with other brands (with the exception of Solar Aqua and ¼ Century Club watches which they kept making for Eaton's until about 1959). 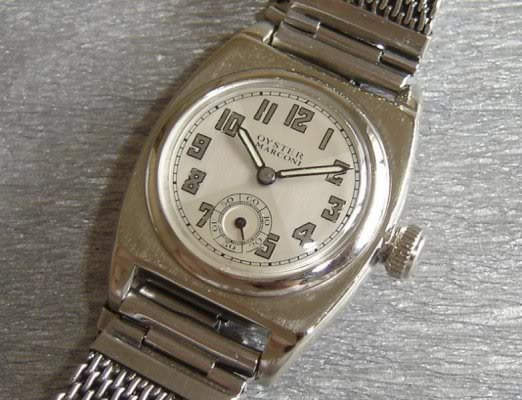 Oyster was used as a standalone brand (mostly in Canada) for about a decade, but by the time Rolex began marketing in the USA, the word "Oyster" would only be on Rolex and Tudor watches. Click here for a thread about every model name released under the Oyster brand. This seems to have been a short-lived brand, celebrating the victory of the Allies in WW2. Probably a Canada-only (or at least Commonwealth market-only) creation. I don't know much about this one. Most likely a Canadian-only branding exercise? You can tell by the crown these are clearly Oysters. 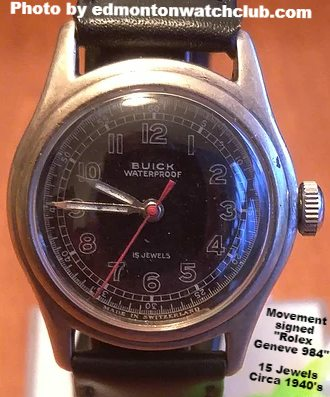 This is the only "Buick" watch I've ever seen but it looks legit. Another obscure Canadian-market thing similar to Neptune I presume. 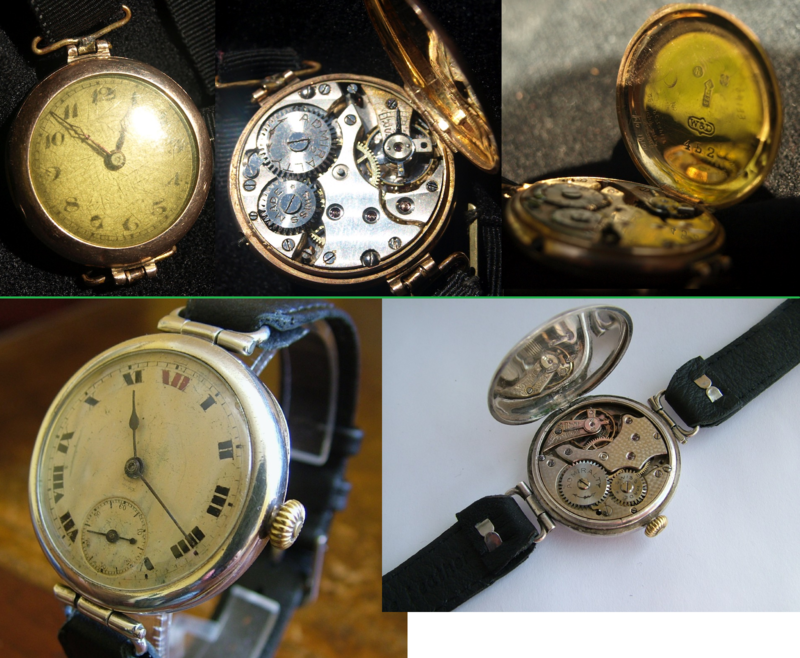 Some unbranded RWC watches have movements branded Unicorn, Rolco, Admiralty 2, Genex, Rolex, etc. For almost 3 decades, Rolex made watches for Eaton's department store in Canada to award employees for 25 years of service. 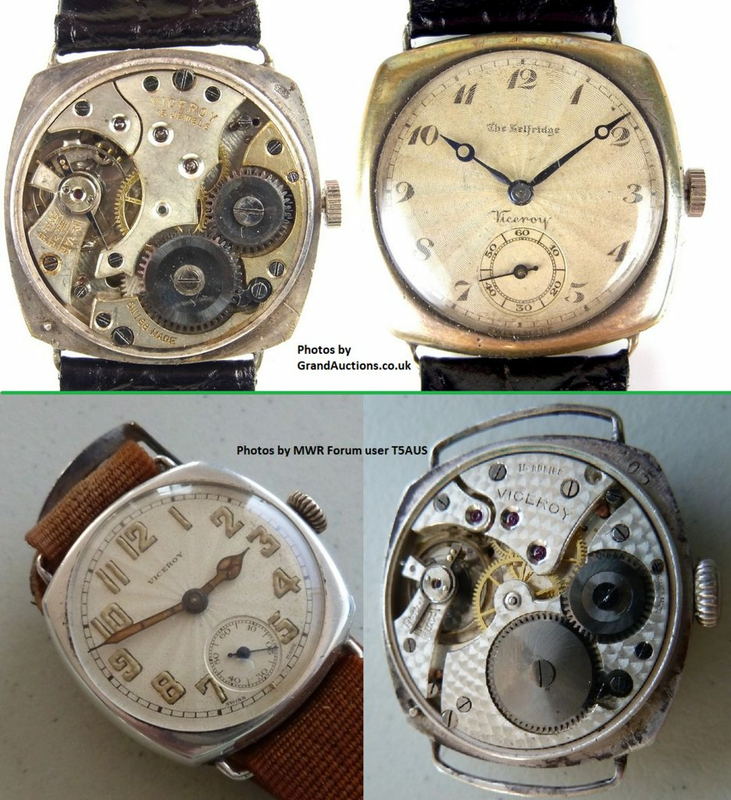 James Walker was a London retailer who sold Rolex and Marconi watches. 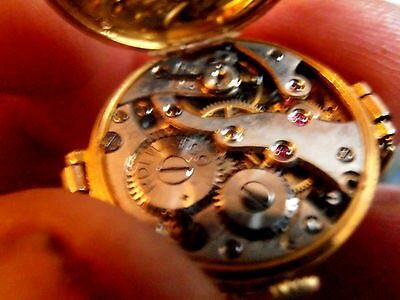 This is the only watch I've seen with a fully signed Rolex movement and just the name James Walker London, without any Rolex Watch Co. brand, on the dial. 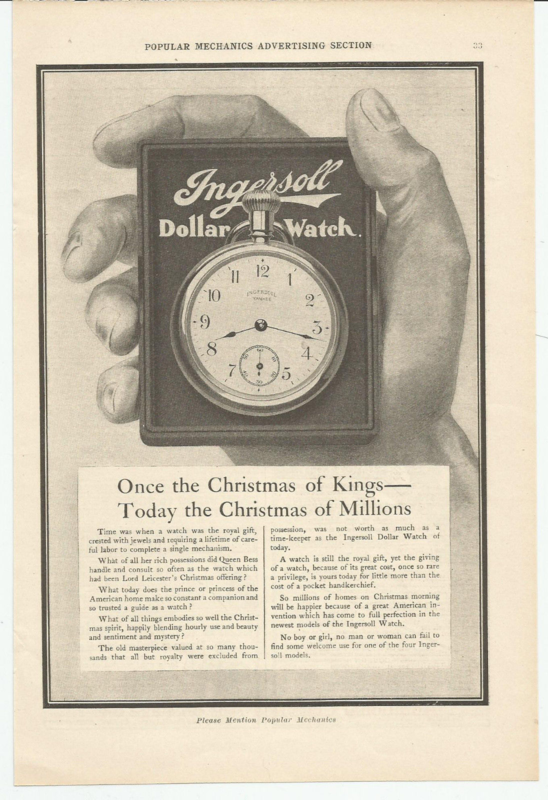 In their heyday of about 1895-1915, Ingersoll was famous for selling a quality watch for $1. 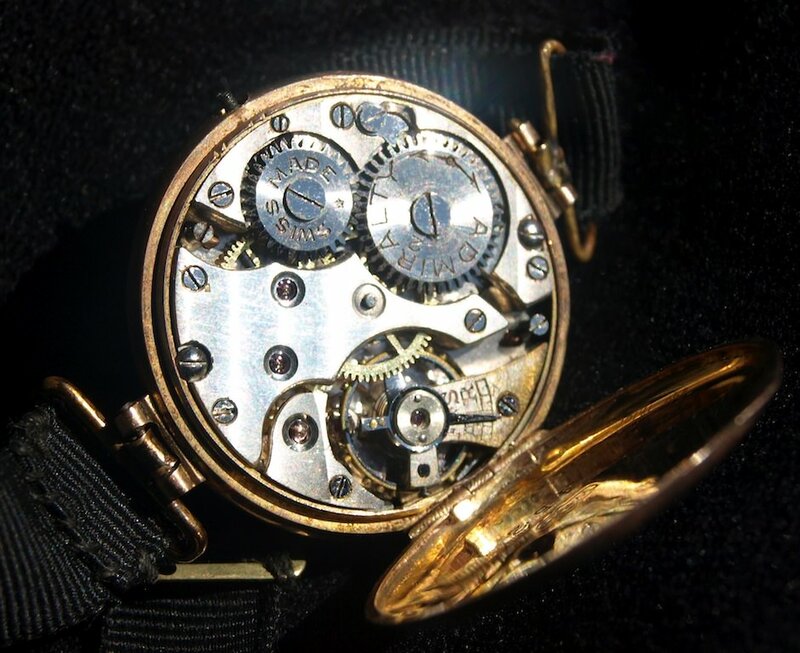 According to Wikipedia, they sold 40 million watches in 20 years! Check out this ad from 1914. 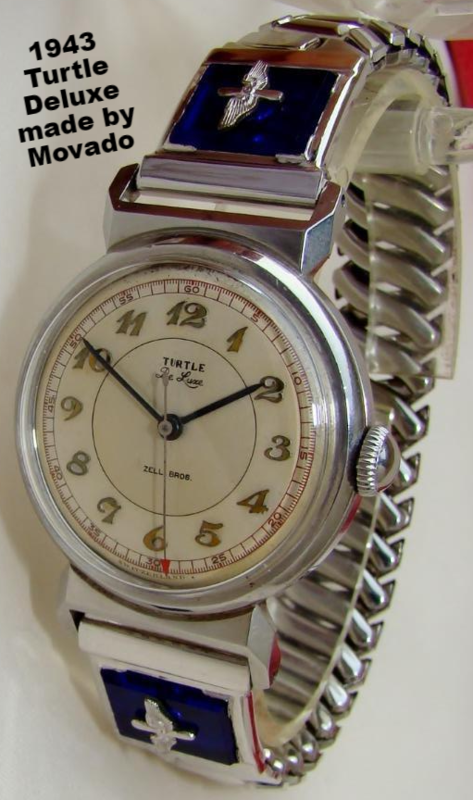 As with other American watch companies, their heyday didn't last forever, and they were bankrupt by 1921. These RWC creations are definitely from after 1922, when the brand was purchased by a British company--Waterbury Clock Company. I don't know much about the Ingersoll-RWC connection; some collectors are skeptical. But to me the silver sunburst guilloche pattern on the dial above is unmistakable 1920's Rolex, not to mention the other example shown with an RWC-branded caseback. Turtle was a trademark of Zell Brothers, a retailer in Portland, Oregon. 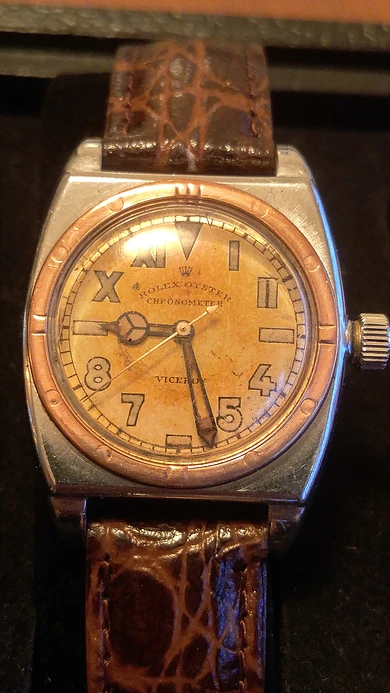 Oregon is pretty close to Canada; supposedly the Zells were impressed with the Oyster watches being sold in Canada, and convinced RWC to make some with Turtle/Zell branding. Turtle Timer, Turtle Deluxe, Turtle Perpetual, Turtle Lipton, and Turtle Royal are the 5 model names I'm aware of. All RWC-made Turtle watches have reference numbers equivalent to the Canadian Oysters of the time (mostly 3478 and 2764). Turtles were the first RWC watches to be sold in the USA! Rolex had not yet entered North America in full force, because they had an agreement with Gruen not to sell Aegler-based watches there. 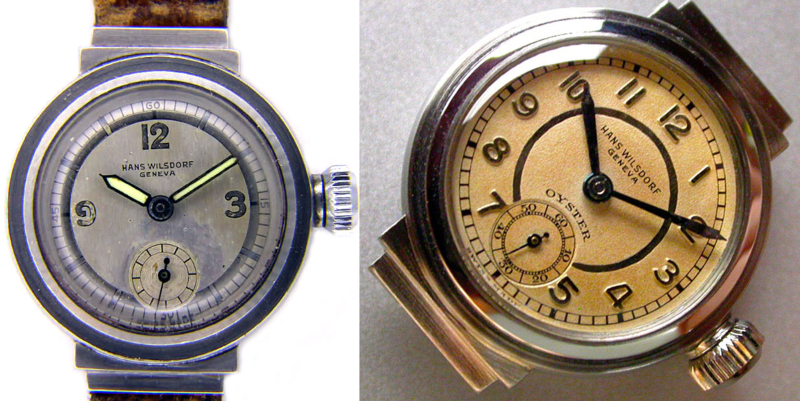 By 1943, though, Turtle watches were being made by Movado instead of RWC. 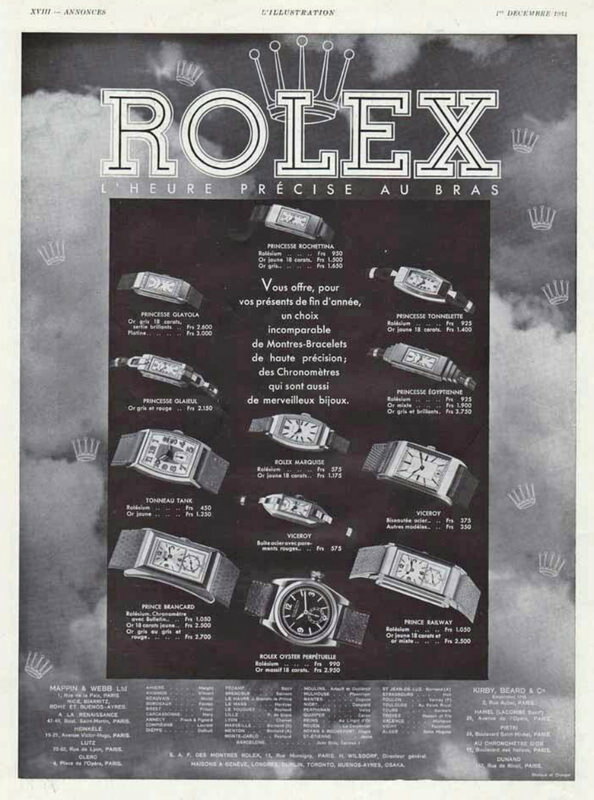 Rolex sold the Wintex brand in 1958. Lusitania, League of Nations, Lexis, Rolexis, Omigra, Queen Alexandra Lever, Irex, Incognito, Golden Rock, and countless others. This is a pretty impressive look at history. Awesome piece, and a very interesting read, thanks for sharing. I have heard/read somewhere that Rolex sometimes re use old names/references that have been dormant/redundant for a number of years. With that in mind I wouldn't be at all surprised to see 'Rolexis' appear somewhere in the future as a term to describe a new type of alloy they invented..
Wow how educational is this? Thanks for your efforts on TRF's behalf! Great information, fantastic job. Thx. Thanks guys! Glad some of the info has been helpful! Thanks! Of course, how could I forget the Rolex-made Panerais? That certainly counts as a watch made by RWC for another brand! 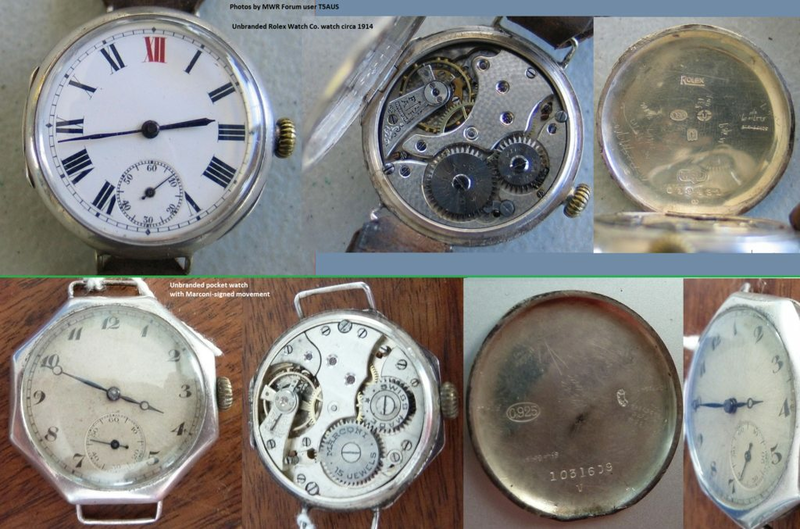 They made the cases too, not just the movements. How many brands in total have been made by rolex? Well, it depends how you count them. 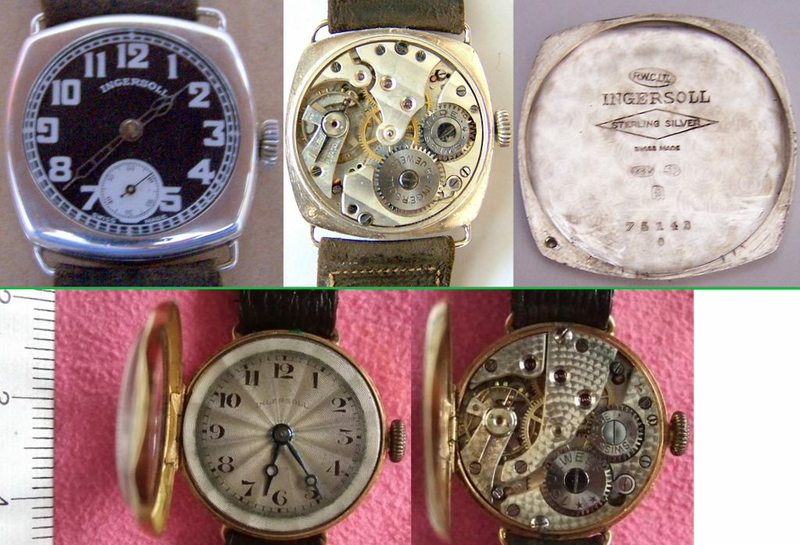 They appear to have used at least 17 of their own brands, and made watches for at least 6 other brands. 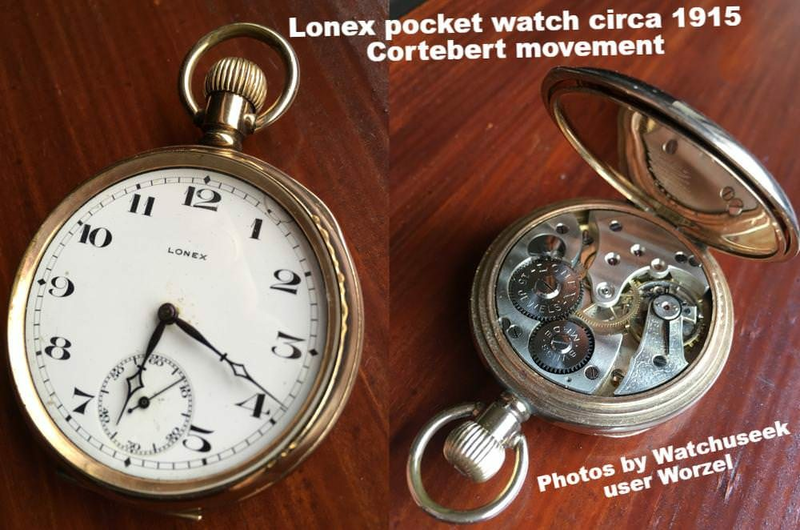 They also made unbranded watches and apparently used at least 2 brands (Hofex and Wintex) on movements only. Does "Solar Aqua" count as a separate brand than "Aqua?" If so, add 1, etc. So it's definitely not a known definitive number. Plus, I'm sure there are some that I don't know about. Wilsdorf registered a ton of brands he never used; I wasn't sure he ever used Lonex until I saw one on this forum, for instance. This is a great post! Very comprehensive, thank you! 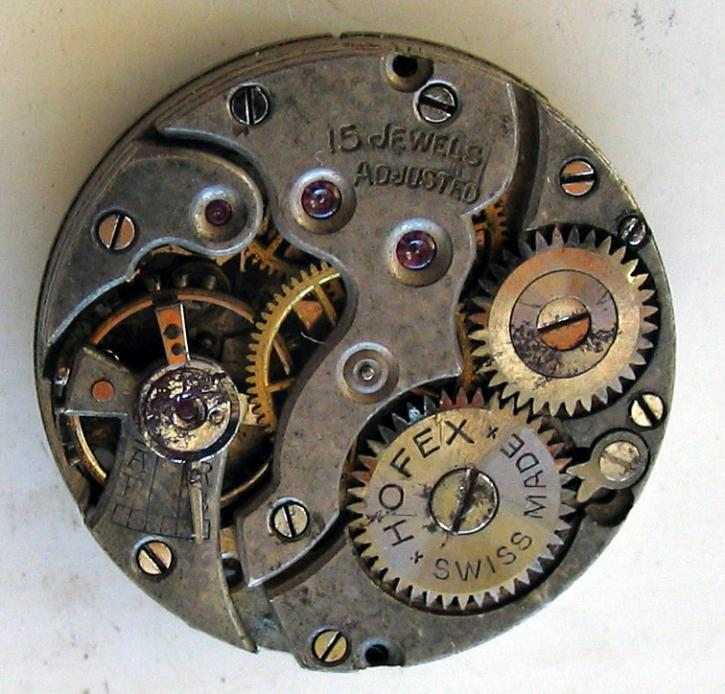 Ive got what looks like an old Rolex that has a flip face and back, it has a code 908543 stamped into the inside back casing. 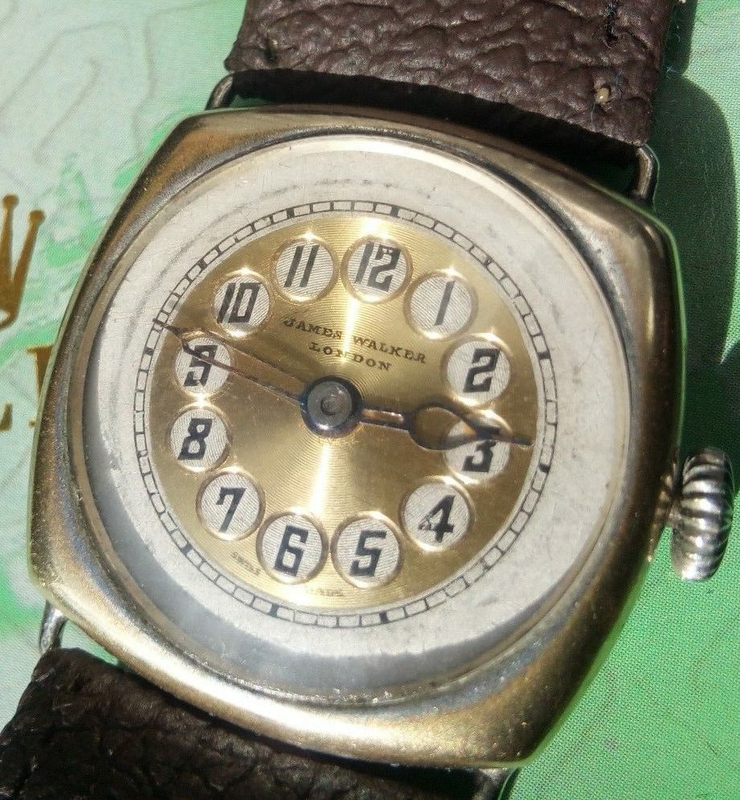 There is no Rolex on the face dial, Ive searched for the code but cant find any reference to it. More commonly Sky-Rockets will be branded as Rolexes. Very interesting, a few names I've seen pop up and thought nothing of! 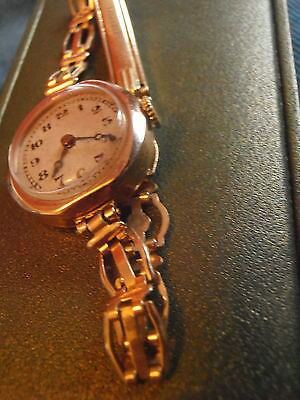 I'm sure those unbranded ones must get sold for pennies all the time from people not checking the movement.